Yesterday and Today: The Clarence Center Brethren in Christ Church as it appeared before 1954 (left); the Clarence Center church building today, owned by the Epiphany United Church of Christ and used as a ministry outreach site (right). Author’s Note: Well, my blogging hiatus lasted a bit longer than expected — mostly due to a perhaps-too-relaxing holiday, my wife’s and my impending move, and a general lack of forethought. As though to add insult to injury, WordPress (the site that hosts this blog) tried to publish this post earlier in the week — before it was even finished! In any case, we’re back! Look forward to new posts starting next Monday. In the meantime, enjoy today’s Photo Friday. Last week, my wife and I spent several days visiting friends in Buffalo, N.Y. We had a great time relaxing and catching up. Of course, my trip to western New York State wouldn’t have been complete without a brief detour to Clarence Center, the site of the only Brethren in Christ Church in the state (outside of New York City). The Clarence Center church (later Ransom Creek Community Church) closed its doors in 2008. (The closing coincided with an unrelated but highly publicized plane crash in the community.) 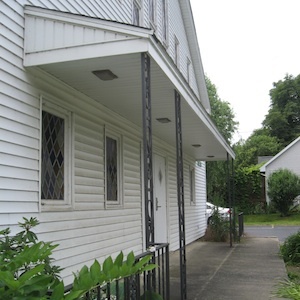 Today, the property houses the Epiphany United Church of Christ and two ministry centers; the Epiphany congregation purchased the site from the Susquehanna Conference of the Brethren in Christ Church in 2010. For many years, the Clarence Center church produced or was home to many key denominational leaders. For instance, John and Nellie Hostetter and Paul and Lela Hostetler were two important pastoral couples at the church; denominational historian Carlton Wittlinger called the church home. During our brief detour to Clarence Center, I was able to snap a couple of pictures of the church — all of which appear below, along with some historical images of the building and its former pastors. After the jump: images of the Clarence Center church, past and present. The interior of the Clarence Center church, circa 1950s. The interior of the former church building today. The space is presently used to house the Epiphany congregation’s B.L.E.S.S. Outreach Center. A close-up shot of the front exterior of the old Clarence Center church sanctuary building. 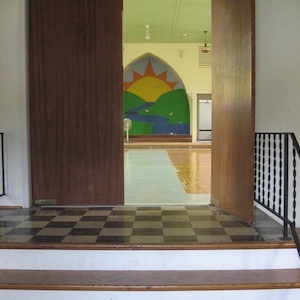 This entranceway was added to the 1877 church building in the early 1950s. 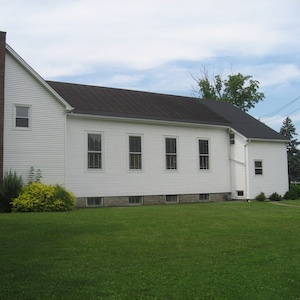 A side shot of the original Clarence Center church building shows the three stages of physical development: the middle section is the early church building, constructed in 1877; the rear section was added in 1951; the entrance section at front was built in 1954. Brethren in Christ leaders stand outside the Clarence Center church during the 1953 General Conference (held in Canada). 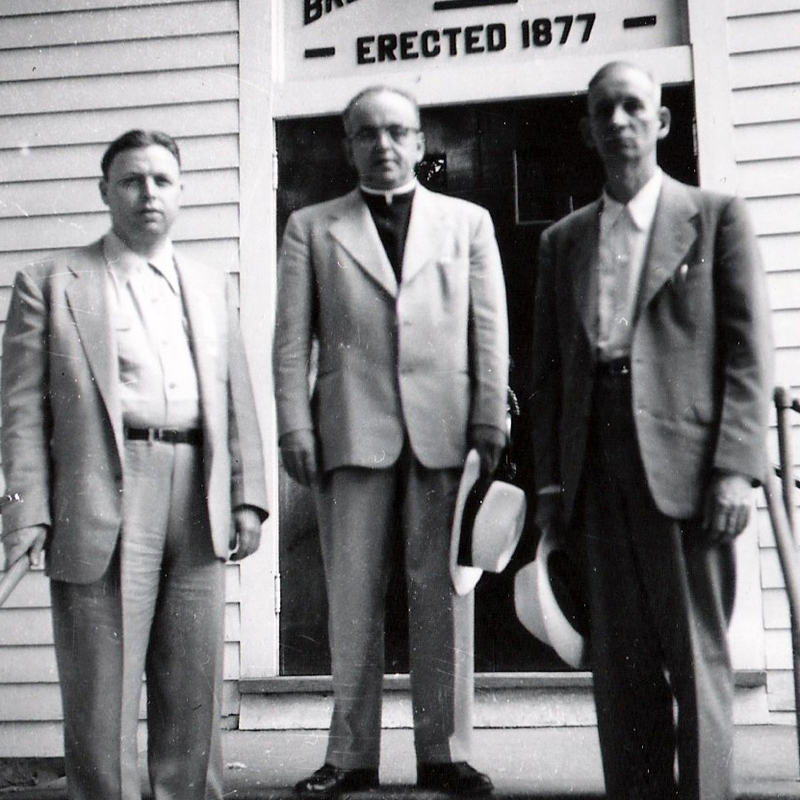 Left to right: Erwin Thomas; John Hostetter, then-pastor at Clarence Center; and unidentified. 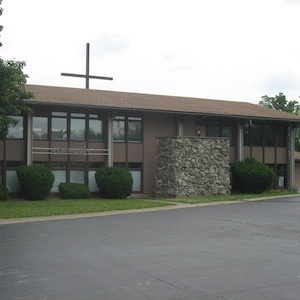 This second building was added to the Clarence Center church’s campus in the 1960s. 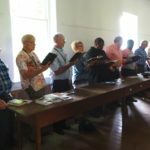 Today, it serves as the sanctuary for the Epiphany United Church of Christ, which purchased the property from the Brethren in Christ Church’s Susquehanna Conference in 2010. 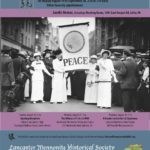 To learn more about the history of the Clarence Center church, see J. Norman Hostetter, Challenging Tradition, Finding a Ministry: John and Nellie Hostetter in the Brethren in Christ Church (Grantham, Pa.: Brethren in Christ Historical Society, 1998), chapters 3, 5-9, 11. Thank you for visiting & taking these photos! As you know, Dad (Paul Hostetler) was assistant pastor & then pastor at Clarence Center in the 1950s. I spent my childhood there and have many wonderful memories of the congregation there. We were very sad when the church closed. 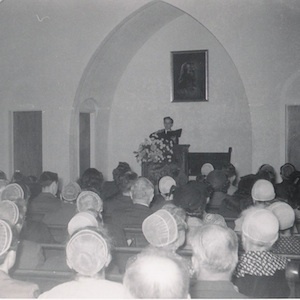 I think that in the interior photo from the 1950s, my dad is in the pulpit. It was during our time there that Dad first wore a tie and Mom stopped wearing her covering & changed to wearing a hat. Many others in the congregation did the same. I’m surmising that it was due, in part, to that change that several non-BIC community families began to attend. I was unaware the Clearance Center Church had closed. I always had an outstanding opinion of the church and its congregation. While my father pastured the Buffalo BinC church (mid 50’s) we would visit and always was impressed with the Hostetters and other members. I thought a lot of the church during the time of the plane crash, not knowing it was closing. Having fond memories of the church and being an aircraft inspector brought me close to the situation. We visited the old Buffalo church location a few years ago and took some pictures. Warren: Thanks for your comments. When I was in Buffalo I had wanted to visit the site of the old mission, but didn’t have the address. I’d love to see your images of the mission, if you’re willing to share them. Sure, how do I attach them? I have one here on my desktop. Or is there an e-mail address? Warren: You can send them to me at [email protected]. Hopefully, I’ll be able to put together a post on them — as soon as I can do a bit more research on the Buffalo Mission. Thanks! My husband and I came to Clarence Center BIC in 1991 from a catholic church (I was Roman Catholic and my husband went to a Presbyterian church as a child). Our pre-teen daughter was introduced to CCBIC by a friend who asked her to join the youth group. We were somewhat uncomfortable with our daughter’s new found faith, especially when she suggested we try coming to a service. She thought we would really like the pastor’s messages. We attended a service and were intrigued with the message and wanted to know more even though I felt a little intimidated and unsophisticated. I felt I did not have proper church etiquette and that the congregation might be a little judgmental. Little did I know that I would learn more than I ever knew about the Bible from these people. We just had to hang in there and get over the uncomfortable feelings. I would not be surprised if others might have had the same feelings on their first visit. With so many larger churches with more activities and programs for children, most visitors would move on to a church with more going on during the week for their families. 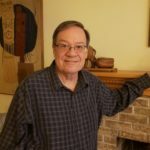 I would be happy to share some insights with Norm Hostetter.